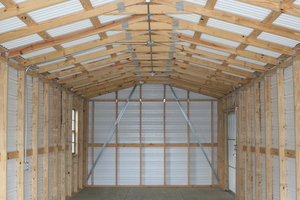 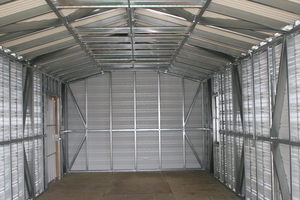 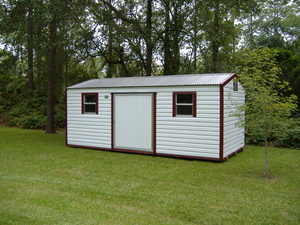 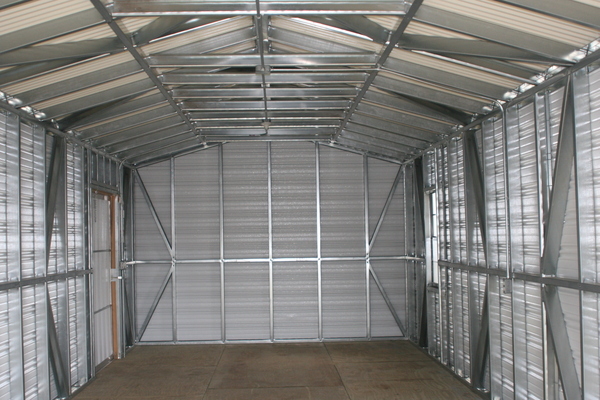 Our most economical basic-style storage building available in both wood-stud and steel-stud frames. 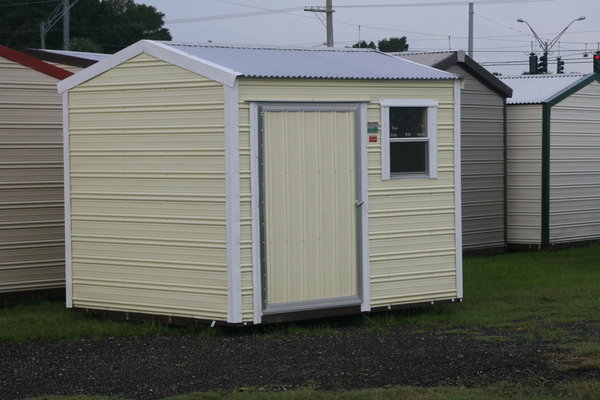 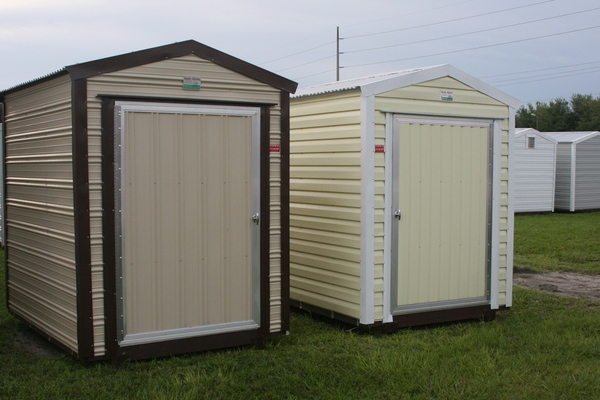 This shed offers the basic in storage with still an attractive appearance that would fit your needs. Our aluminum framed door is standard on this unit; however you can substitute any mobile home type or rollup door. 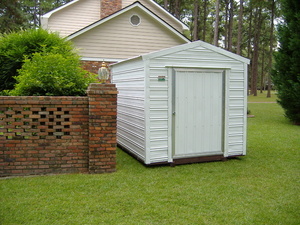 Available in sizes from 6x8 up to 12x30.